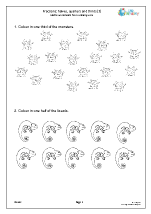 Have a look at some of our latest resources in this category. 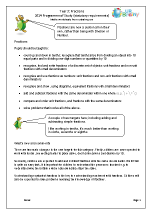 Revision of work on halves, quarters and thirds. 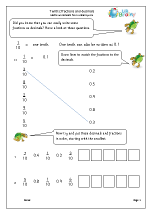 Understanding tenths and counting in tenths. Work on the importance of equivalent fractions. 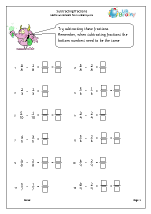 Begin to add and subtract fractions with the same denominator. 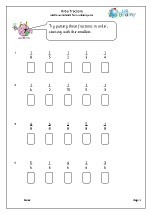 Children coming into Year 3 should have a sound understanding of simple fractions, especially halves, quarters and thirds. 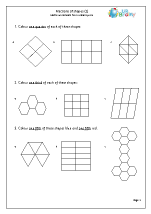 They should have had plenty of practical experience dividing shapes and sets of objects into quarters and thirds. 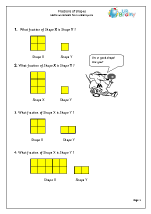 There are plenty of new concepts on fractions to be understood in Year 3,but it is still important to use practical work, using shapes and objects, to help with understanding. A key step is to begin working with tenths and recognising that tenths arise from dividing an object into ten equal parts. 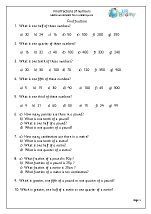 Later this can be developed to dividing one-digit numbers or quantities by 10. 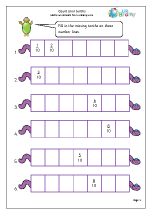 This is crucial for understanding our decimal system and understanding that a fraction such as three tenths can also be represented as a decimal (0.3) and connects to dividing 3 by 10. Counting in tenths can also help enormously with this. 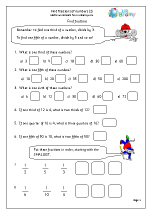 We have a great selection of worksheets which deal with writing tenths, counting in tenths and converting tenths to decimals. 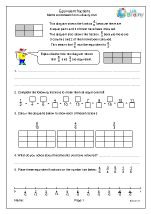 Other fractions are also introduced, such as fifths, and equivalence between fractions is developed with the help of pictures and diagrams. This leads on to ordering fractions with the same denominator. 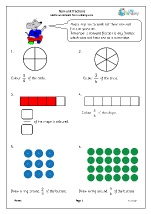 One of the quirks of fractions, which some children find hard to understand, is that as the denominator gets larger the size of the number gets smaller (e.g. one tenth is smaller than one fifth; one twentieth is smaller than one tenth and so on). 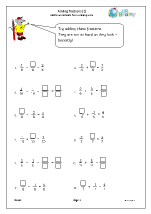 We have some excellent ordering fractions pages for Year 3 to help consolidate this concept. 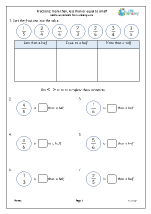 As well as these, some of our most popular worksheets are the sets of finding fractions of numbers, with questions such as ‘What is one sixth of 30?’ Again, the link between fractions and division needs to be constantly reinforced. 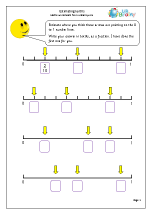 As the year progresses children will be introduced to adding and subtracting fractions, but only with the same denominator and with totals up to one whole one. Simplifying fractions is important at this stage and children should be encouraged to write fractions in their simplest form. (e.g. two sixths can be simplified to one third). 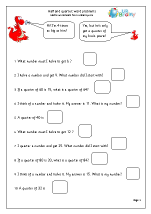 All this will lead onto much more on decimals and fractions in Year 4, including hundredths and further work on equivalence. 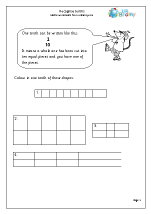 If you child is finding the Year 3 work difficult then it is important to go back to Year 2, or even Year 1, and see what is understood and what concepts have not been fully understood.